Warner Bros. has released a new featurette ahead of the release of Fantastic Beasts: The Crimes of Grindelwald, where star Eddie Redmayne and creator J.K. Rowling discuss their favorite beats in Newt Scamander’s growing menagerie. As we learn about some of the new beasts, and how they’re tamed, we also learn that Newt is something of a magnet for broken creatures and that he never met a monster he didn’t love. You can check out the clip in the post below! Fantastic Beasts: The Crimes of Grindelwald is the second of five all-new adventures in J.K. Rowling’s Wizarding World. 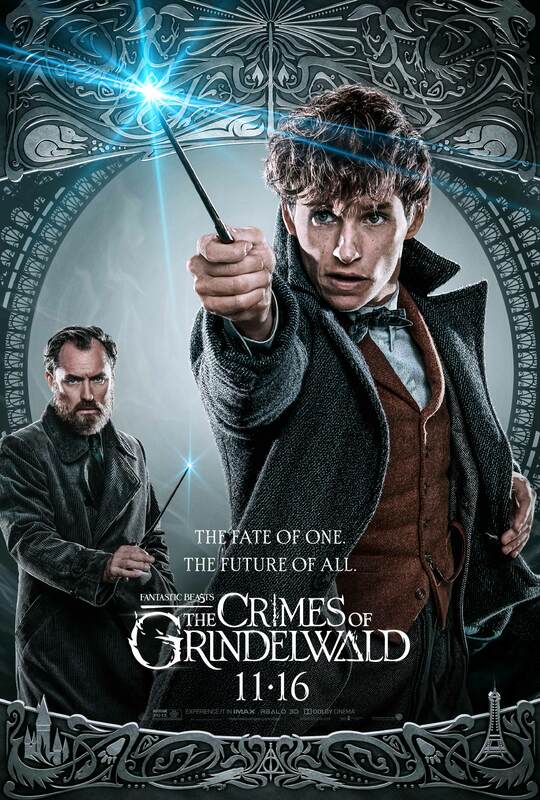 The film stars Redmayne as Newt Scamandar alongside returning stars Katherine Waterston, Dan Fogler, Alison Sudol, and Ezra Miller. They’re joined by Claudia Kim, Zoe Kravitz, Callum Turner, with Jude Law as Dumbledore and Johnny Depp as the titular Grindelwald. Related: The Final Fantastic Beasts: The Crimes of Grindelwald Trailer is Here!